Fishing with attitude around the Sebastian Inlet. Fishing with attitude around the Sebastian Inlet. The first week of May produced some decent fish. The Snook bite was a little slow but we managed to catch a few and a handful of keepers. The Redfish bite is producing good numbers. They are all too big to keep though. The Jacks are thick as can be. 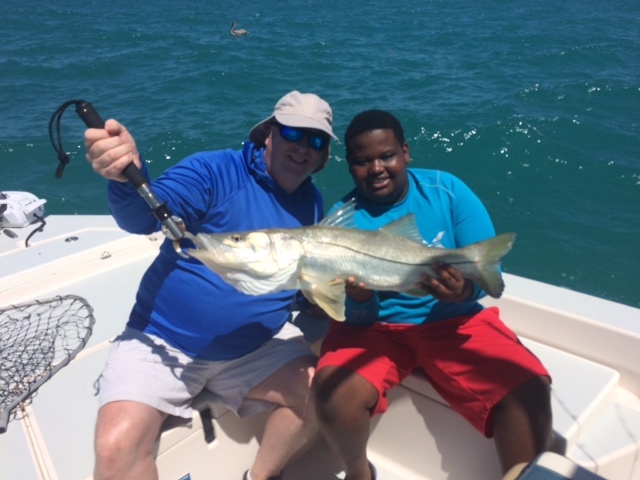 We are catching plenty while fishing for Snook and Redfish. 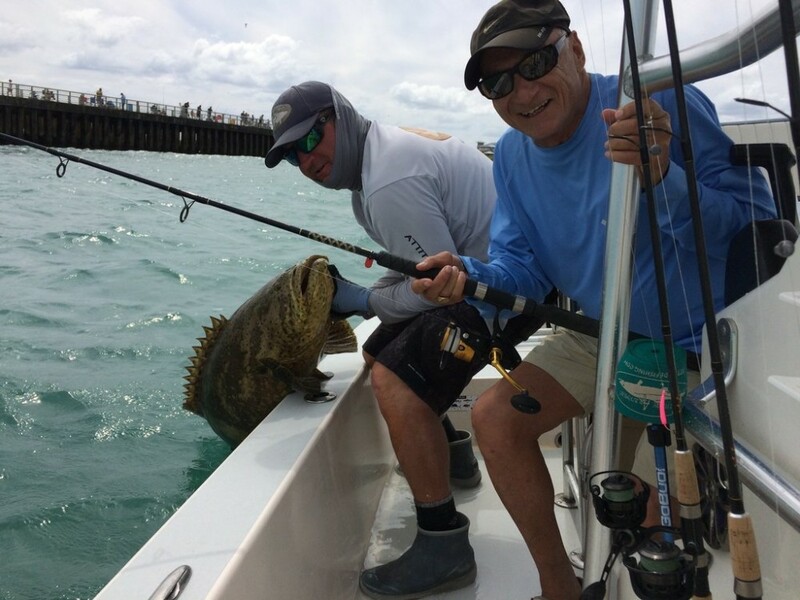 The Goliath grouper are taking over. They are bigger and hungrier this year. We are losing a fair amount of Snook to them. The laws really need to be changed so we can get rid of a few of these greedy oversized monsters. The winds have been blowing and the ocean has been pretty choppy. It is time to start thinking about Permit and running the beaches. Also Grouper is now open. The Mangrove bite should start picking up as well offshore. Thanks to everyone who fished with Attitude this past week. Snook, Redfish, Jacks, Goliath Grouper on the Attitude Adjustment. This past week around Sebastian Inlet has been fun. The weather was nice last week, but this week has been pretty windy. Should start laying down. We have still been able to produce some nice fish. The tide is coming in most of the morning. We are cacthing some Redfish, Snook and lots of Jacks. 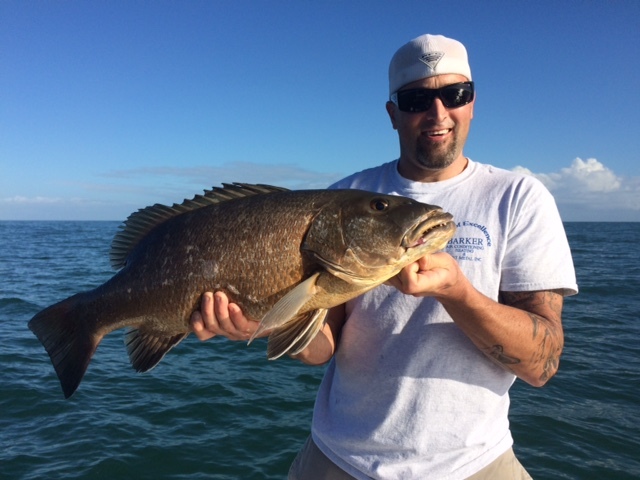 A client Mike caught a nice Goliath Grouper on light tackle. On another trip last week we had a 60lb. plus Cobia next to the boat twice just far enough that I could not gaff it, it finally broke off. What a let down. Good thing we had already caught some other nice fish. Well check out the gallery for some great pics from the previous week. Tight lines! 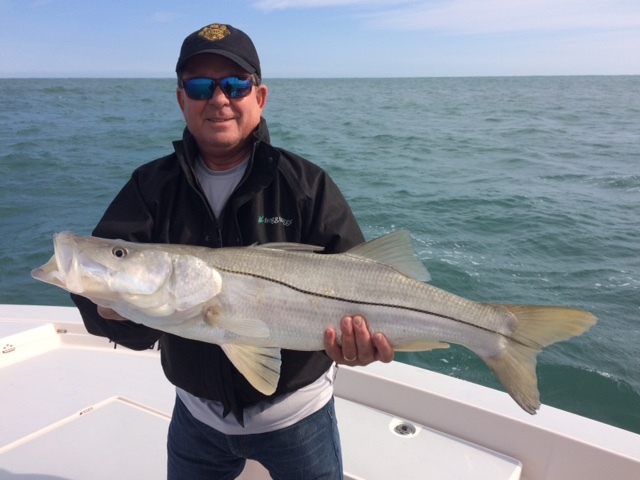 Inshore Snook fishing around the Sebastian Inlet. Jay and his son Oliver are from N.Y. We departed from the Inlet Marina at 7 a.m. We cast netted some Pilchards and caught some Pigfish. First we fished a few islands and caught some Jacks. 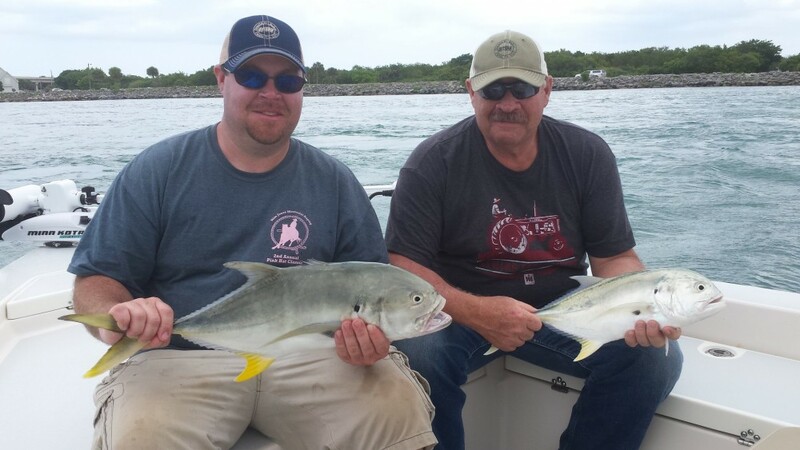 Then we went inside the Sebastian Inlet and caught a lot of Jacks that were a little bigger. Once the tide switched to outgoing we tried for the Snook. 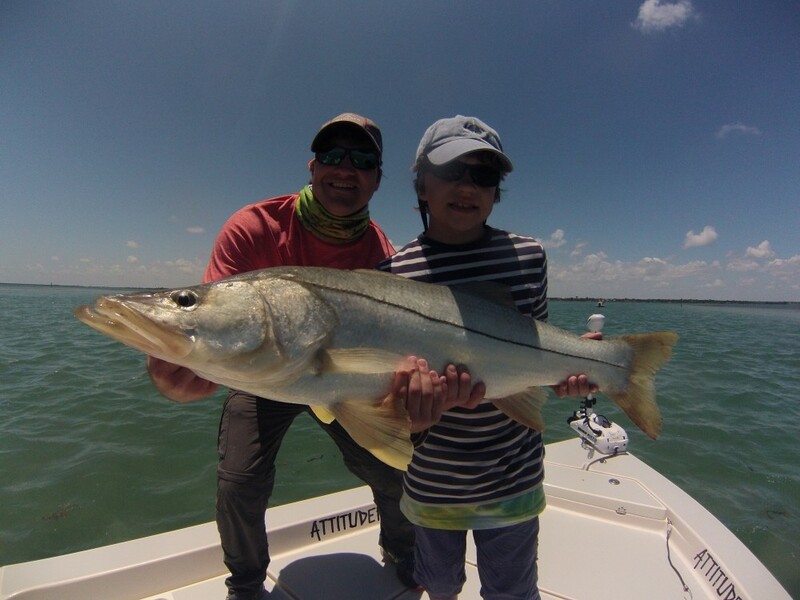 Not much luck on the tip so we went back to the flats and found some monster Snook. We hooked up 5 or 6 Snook and landed 3. The biggest must of been 35lbs. It was a fun day fishing with Jay and Oliver. Thanks Jay for fishing with Attitude! Hopefully we will fish again in the future. 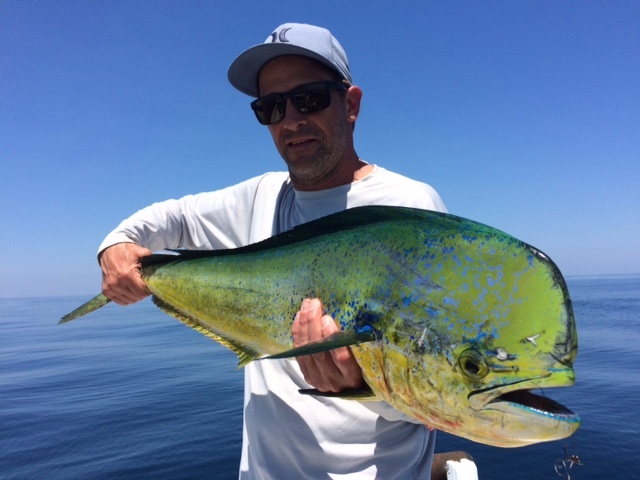 Jacks, Jacks, and more Jacks is the best fishing going on around Sebastian Inlet. The Snook and Redfish have been rather slow. The water is super clear. The tide is outgoing most of the morning. Justin and Marty from Virginia fished with me 7 years ago and finally made it back to Florida, and they remembered attitudefishing. We started off getting some Snook bait then putting some time in fishing for them, but no luck. We decided after some time to move on and go search for some action. Not much going on in the river so we ended up back in the Sebastian Inlet. The tide was now incoming and we made some drifts. They were catching Jacks on every drift. Non stop hooking up. It was a great way to spend the last hour after a slow morning. Thanks Justin and Marty for remembering Attitude Adjustment. It was a pleasure to fish you two again. Hope you guys enjoy your next few days of Disney. 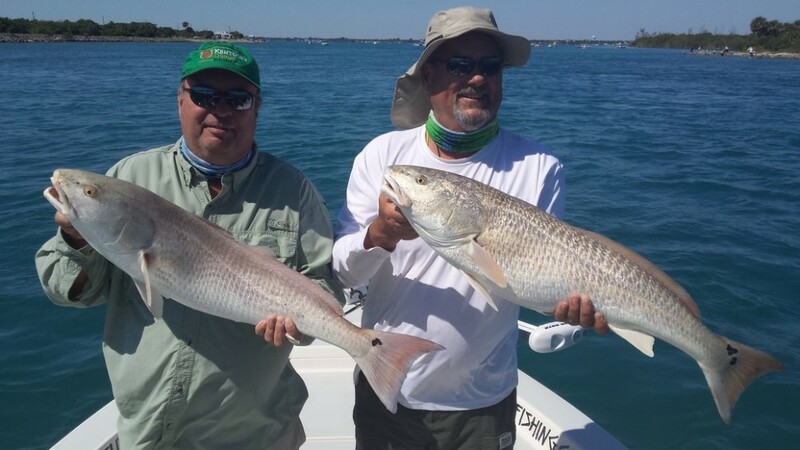 Jack, Brock, and Kyle 4/10/15 8 a.m. to 1 p.m.
2 big Redfish and a dozen Jacks caught on the Attitude Adjustment inside Sebastian Inlet today. 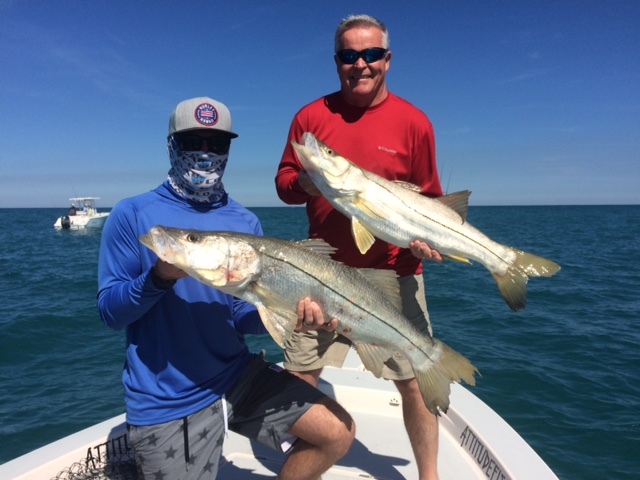 Jack and his two grandsons had a great day of fishing aboard the Attitude Adjustment. The weather was a little windy but other than that it was a beautiful day. The tide was outgoing first thing then switched around 10 a.m. to incoming. They caught some good ones, some big Jacks, and two big Redfish. 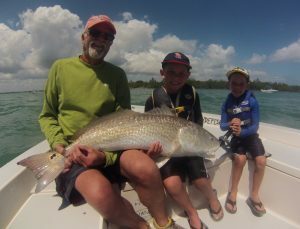 Brock and Kyle who are 6 and 8 got to feel what is like to fight some big Redfish. We had to help a little but both of them did a great job. Thanks Jack for fishing with attitude. It was a lot of fun to fish with you and your grandsons.